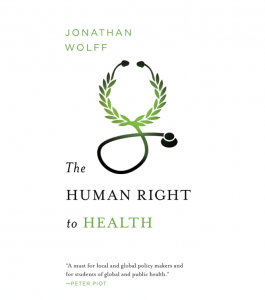 Book Review: Jonathan Wolff, The Human Right to Health, New York and London: W.W. Norton & Company, 2012. 192 pp. Hardcover: $23.95. ISBN 978-0-393-06335-6. Wolff confronts the reader with the fundamental question underlying the human right to health. How can there be a human right to health if the resources are just not there to satisfy it? It does seem obvious indeed that the health of a human being needs to be protected. However, is it possible and even desirable at all to realize a universal human right to health? And what does it mean in practice to protect the good health of every single citizen in the world? To find satisfactory answers to these very demanding questions, Wolff starts with an overview of the international legal developments in the 20th century which laid the foundation for the human right to health. 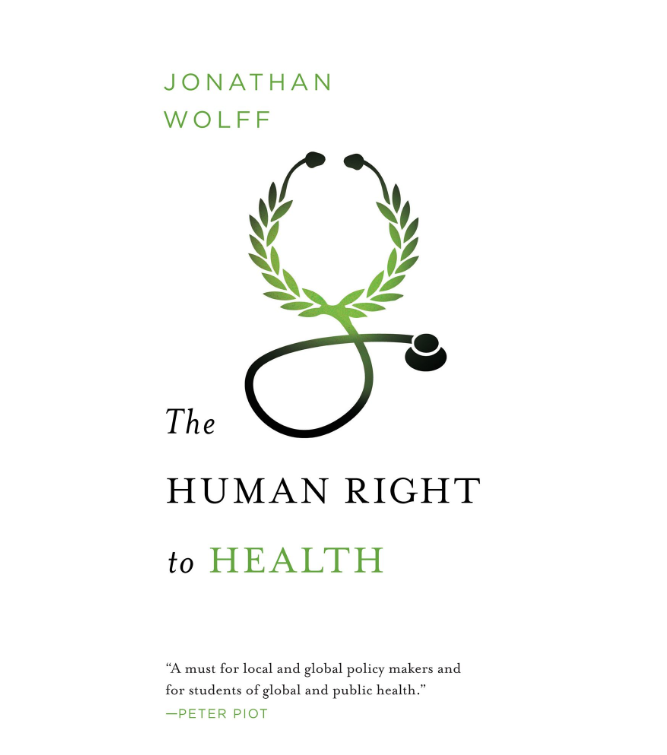 In chapter 1 of the book, Wolff introduces the reader to a variety of declarations, covenants and constitutions which shed light on the meaning and the limitations of the human right to health. For Wolff, the dilemma arises particularly from these legal definitions which tend to be rather vague and idealistic in nature. Not only is it very challenging to give a clear-cut definition of good health. It gets even more challenging when we are faced with the question of how to progressively realize he human right to health. In chapter 2 Wolff goes on to explain in more detail why it has been so difficult to establish the human right to health in practice. The two fundamental challenges Wolff identifies in the legal foundations refer (1) to the vagueness of the existing definitions and (2) the fact that the protection of the human right to health as a social right is based on more than just non-interference as it is the case with traditional human rights (rights of freedom to expression, against imprisonment, torture, etc.). What is essentially required to guarantee the full realization of the right to health is action. Wolff further elaborates on these fundamental challenges by trying to expose what the human right to health could actually be and brings in the role of the state, and its obligations as laid out in international law, in the protection of the human right to health. According to General Comment 14 the state is required to take action in form of respecting, protecting and fulfilling the progressive realization of the human right to health. Wolff admits that these general requirements appear obvious and even natural. In practice, however, the protection of the human right to health is not guaranteed at all, what he makes clear when mentioning the health situation in many developing countries. Given the difficulties in the implementation of the human right to health, Wolff argues that many violations of the human right to health may never be detected. In this situation, actors other than the state such as human rights organizations may play an increasingly important role in the protection of the human right to health, in particular when it comes to infectious diseases including HIV/AIDS. The central role of the HIV/AIDS epidemic in the progressive realization of the human right to health is the focus of chapter 3. Wolff rightly points out that the HIV/AIDS epidemic can be seen as the “awakening” of the human right to health. To corroborate his argument he gives a short overview of the origins of the epidemic in the early 1980s in the US, describes the response to the epidemic in the developed world and then moves his perspective to analyzing the spread of HIV/AIDS all around the world, in particular in Africa. Wolff stresses that the HIV/AIDS epidemic brought about a powerful narrative of restriction, discrimination and victimization, especially in the first years after the discovery of the disease. The HIV/AIDS epidemic gave rise to the mushrooming of new civil society organizations which were determined to fill in the gap the state in many cases left, namely the protection of the human right to health of people living with HIV/AIDS. The principal dilemma governments faced referred to the question of how to protect the human right to liberty of people living with HIV/AIDS while protecting the human right to health of the majority of the society. Wolff convincingly argues that in the face of the HIV/AIDS epidemic governments realized that they could no longer sacrifice the rights of the ill for the sake of the healthy majority – as it has been quite common in the history of infectious disease -, since for the very first time the healthy majority of the society remained at risk as long as the civil rights of people living with HIV/AIDS were not protected. The restrictive rules introduced against people living with HIV/AIDS created an atmosphere of fear so powerful that people did not take HIV/AIDS tests and risked being HIV/AIDS-positive without even knowing. In this context, the human right to health gained further momentum when the first anti-retroviral treatment became available and the question arose as to whether these drugs should be paid for by the state. In the debate over the human right to access to treatment the human right to health was propelled into a new dimension. Wolff does not conceal that notwithstanding the central importance of HIV/AIDS in the progressive realization of the human right to health the overrepresentation of HIV/AIDS in the global health discourse might lead to the marginalization of other no less urgent health issues. In chapters 4 and 5, Wolff engages in discussing the existing problems and prospects revolving around the human right to health. He pays particular attention to various other topics essential in the realization of the human right to health, in particular the health issue of maternal mortality as one of the most urgent health challenges in the world of today. The illustrative example of maternal mortality strengthens Wolff’s argument that the overall focus on HIV/AIDS in the last decade led to a biased approach in the realization of the human right to health. Maternal mortality can be confronted relatively easily if women had access to high-quality public-health facilities. Nonetheless, maternal mortality is still the greatest threat for women in the developing world, even though a successful response would not require the vast amount of effort invested in tackling HIV/AIDS. Wolff’s book raises relevant questions revolving around the current state of the human right to health and increases the reader´s awareness of the necessity of realizing the human right to health in our world. With the HIV/AIDS epidemic at the center of the book, the reader gets a clear idea of the tremendous impact of this infectious disease on the progressive realization of the human right to health and its relevance in our time. However, since Wolff points out that the realization of the human right to health in practice gained real momentum only in the last decade, it is surprising that Wolff did not consider the impact of the rise of the so-called BRIC-countries on the realization of the human right to health. This omission is even more surprising, since Wolff mentioned in the very first chapter that countries from the developing world were crucial to adopting the human rights agreements in the 20th century which laid the legal foundation for the human right to health. Unfortunately, he did not elaborate on this crucial aspect. Wolff is certainly right to argue that the HIV/AIDS epidemic and the social movements originating from it propelled the human right to health into a new dimension with unprecedented consequences for its progressive realization. However, one might wonder as to which state actors distinguished themselves in further advancing the progressive realization of the human right to health in the last decade. In this context, an analysis of the rising powers in the developing world, in particular Brazil and India, might provide valuable answers. Wolff’s biased view from the perspective of the developed world neglects key aspects in the progressive realization of the human right to health. Throughout the book Wolff does hint at the fact that several countries from the developing world played crucial roles in the progressive realization of the human right to health. However, instead of further elaborating on this aspect his analysis remains largely focused on the role of the US and Western European countries. Wolff argued for cautious idealism in the progressive realization of the human right to health. I am convinced that a more detailed analysis of the role of the BRIC-countries would reinforce Wolff’s cautious idealism and provide further clues as to how the progressive realization of the human right to health may be advanced in the near future. Markus Fraundorfer is a PhD Candidate at the GIGA German Institute of Global and Area Studies in Hamburg. In his thesis he writes about Brazil’s emerging influence in global governance with a special focus on global health governance. Brazil, Russia, India and China.